I have some exciting news: I have found us another translator to help out with this novel’s translation. Being so busy, I know my updates are not frequent and considering this novel is 300+ chapters, I don’t want to take years to finish it. She and I will take turns translating the chapters and updating on this blog so that way it’ll be (hopefully) faster. Let’s give her a big welcome and a big, fat thank you for volunteering to help me out. However, please do visit her personal blog (@ https://www.jasminechaitea.blogspot.com) and show some support as well. As soon as Wei Yang returned to her compound, Mo Zhu came up with a smile. Li Wei Yang grinned. Her eyes slightly shifted and immediately noticed a shadow lurking behind the sycamore tree in the yard. Bai Zhi furrowed her brows but didn’t speak. That lass, Hua Mei, was always spying on xiaojie like a stubborn spirit. She was bestowed by Da furen, so if they were to get rid of her, others might start saying xiaojie was displeased with Da furen. Yet if they let her be, eventually it was going to bring calamity. Mo Zhu was bestowed by lao furen so she obviously had to go, but Bai Zhi and Zi Yan herself both came with xiaojie from Ping Cheng. However, lately, xiaojie was close to Bai Zhi. Zi Yan subtly furrowed her brows that it was hard to decipher. When she noticed Li Wei Yang calmly staring at her, she suddenly came to realization. With her two servants, Li Wei Yang made her way towards He Xiang Yuan. She had just arrived and had noticed the doors were wide opened. The laughter of the noble women could be heard. Li Wei Yang blinked and quickly entered. In the hall, Lao furen as well as all the other furens and xiaojie were present. Everyone looked extremely cheerful. Li Wei Yang followed Zhang Le’s gaze and noticed all the servants had displayed the endless brocades of silk and hand-embroidered fabrics of different varieties on the table. The hall was radiating like the afternoon sun, causing everyone’s eyes to become blurry. Da shaoye was studying and traveling the world outside, it was natural that he had visited many places. However, he wouldn’t send these gifts for no reason. These gifts were obviously from someone else, using Da shaoye’s name, in order to gain favours with the Prime Minister’s estate. There was no need to guess who this person was. Li Wei Yang already knew. Everyone’s eyes were on Li Zhang Le. Her unrivaled beauty caused others to be in a daze, just like all those gorgeous and magnificent silk brocades, as if she was the flower embroidered on the silk. It was completely delicate, ingenious and admirable, making it hard for anyone to look elsewhere. But that kind of beauty was a needle prickling Wei Yang’s eyes as she slowly looked away. There were some people in this world who were born with their parent’s love and affection, incomparable talents and skills and the fortune of having an unrivaled beauty. All she had to do was slightly look and she could steal someone else’s hard-earned effort. Li Zhang Le grinned. “Then Er meimei should go ahead take it.” Obviously Li Zhang Le didn’t want to give away that particular silk brocade but she wanted to appear generous and kind-hearted. Li Wei Yang quietly laughed as she lowered her head to drink her tea, acting like she didn’t see anything. Li Zhang Le’s hands stopped on the sparkling Hayun hong silk brocade but at the same time, Li Chang Ru’s hands also reached for it. It happened again for the next three times. Even if Li Zhang Le had self-composure, her smiling face was long gone. Zhang Le had plenty of jewelries made out of gems but didn’t have much of these rare silks. Her face slightly turned red but she couldn’t talk back to the seniors. Li Wei Yang lowered her gaze. All of these silk brocades were brought by Da shaoye. Although it was supposed to be for everyone in the family but in reality, all the good stuff would be given to Da furen and Li Zhang Le. However, Er furen and Er xiaojie were being shameless and thick-skinned. As a result, it made Li Zhang Le angry but she had to hold it in. Da furen casually said, “Zhang Le, they’re just silks. If you like something in the bunch, just tell your Da ge to bring a few back.” Despite speaking in a casual manner, her words were meant to pressure Er furen. Er furen’s expression changed as she immediately retorted. Dafang and Erfang over there were acting the two warring sides. Meanwhile, San furen was sitting to one side, grinning as her eyes stopped on Li Wei Yang. The Li’s had Da xiaojie who was known for her goddess-like beauty, Er xiaojie with her dazzling charms, Si xiaojie and Wu xiaojie who were both cute and adorable, yet when it comes to Li Wei Yang, she possessed a unique, individual charm. Right at this moment, Li Wei Yang looked up and caught San furen’s eyes. The two of them exchanged a smiling look. There was a special, silent communication between the two of them. After Li Wei Yang had rescued San shaoye, she and San furen had developed a secret, implicit agreement to be allies. This was something that Da furen had absolutely no knowledge of. All Da furen knew was that her two mumus had been careless, which caused their failures. They didn’t check to make sure the body was dead before disposing the body. She believed that San shaoye had good fortune and was able to escape death but didn’t realize it was Wei Yang who had saved him. The room was filled with gorgeous and splendid silk. It was hard not to be tempted. Even Si xiaojie, Li Chang Xiao, who was generally simple-minded couldn’t help but browsed through the numerous brocades of silk. Only Li Wei Yang remained in her seat, not moving an inch. She had just picked up a brocade of golden oriole silk to examine when suddenly, a strong breeze from the outside blew in. Following it was the sound of a servant’s scream. Wei Yang promptly felt there was something sharp and curvy on her shoes. She was taken by surprise and instinctively took a step backwards. It was a snow-white Arabic cat. One of its eyes was blue and the other was yellow. It was looking at her arrogantly. Of course Li Wei Yang recognized this particular cat. In the previous lifetime, it had been Li Zhang Le’s most adored pet. It had entered the palace with her. Not only was it arrogant and proud, it had once used its claws to scratch Yu Li’s small hands and drew blood. As she spoke, a plan was already established in her head. Are you watching the Live Action of this that’s just come out? I’ve downloaded some of the episodes but I hear the plot starts off rather differently. Because of the plot differences, I have started to see the drama as a total different story than this novel, that Solstar24 is so kind to translate and share with us here. ….? I don’t get it. Why is she so mad over a cat? because that cat hurt his son in her previous life so she hate that cat like she hate it’s owner!!! More like she hated Zhang Le who protected the cat when her son got hurt and put the blame on the son. Since she can’t do anything to Zhang Le yet, might as well hurt what she likes. Thus the cat mysteriously missing oly to be found drowned in pond…. Yay~ thanks for the update!! Oh ish! That cat is going down! and thank you so much (っ◔◡◔)っ ❤!!! The Princess Weiyoung DRAMA ver. Tiffany Tang (Perfect Couple), internationally-acclaimed actor Luo Jin, and Vanness Wu (Autumn’s Concerto) star in a period romance that proves revenge is best served when the enemy least expects it. Li Wei Young (Tiffany Tang) was born Princess Feng Xin Er, the third daughter of the proud royalty of the Northern Wei Dynasty. Although she never quite gets the affection of her family because she was born on a day deemed one of misfortune, Xin Er is pure of heart and sharp of mind. One fateful night, in a massacre rivaling few others, Xin Er’s kingdom is annihilated. Escaping with her life but now an orphan, Xin Er accidentally wanders into enemy territory. There, she assumes the identity of her savior Li Wei Young, the daughter of a tutor. Full of hatred for the enemy that destroyed her kingdom and lacking in the feminine graces expected in her time, the somewhat arrogant Wei Young has trouble fitting in. But, being both wise and pure of heart, she ultimately learns to channel her hatred towards those who deserve it and become a kinder person overall. And it is exactly her wisdom and humanity that attracts towards her two very different men. 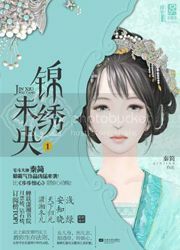 Tuoba Jun (Luo Jin) is the beloved, well-educated, kind prince that is favored by all, including the king, and who falls in love with Wei Young. And competing with him is his younger brother Tuoba Yu (Vanness Wu), the cold, menacing and emotionally scarred prince that truly wants to rule the empire, and sees the intelligent Wei Young as his tool and his elder sibling as his rival. Wei Young, however, only has her eyes on one thing: she was not able to save her people. Between the schemes of these two men and living in enemy territory, can Wei Young ever avenge her kingdom? Is the drama really based on this novel? I thought the stories were really different. Yes but as the Chinese media system does not want re-birth stories, she has merely taken on identity of the girl who rescued her. So, the heroine does not know everything ahead of time because of having experienced it in her previous life. She is still clever, devious and out for revenge. Vaness Wu actually plays the uncle (the king’s son), not the younger brother while Luo Jin plays the king’s grandson and the son of the deceased Crown Prince. Thanks for the chapter! And good to see Li Wei Yang making a ally. Thank you for the updates! I really like this novel, Weiyoung is a really strong woman and would not easily allow others to bully her. Yes, that’s it, kill the cat like your killing the owner! Thanks for translating this chapter and congratulations on finding another to help you. She probably wants to use the cat to draw out da xiaojie’s true nature for all to see. Thank you for your hard work! Absolutely in love with this story. Many thanks to both you and the new translator for putting in an effort to translate this novel for us. I’m very interested in seeing what happens in the future. Unexpected wrath for a cat. Thanks for the chapter and teaming up with another translator! Appreciate all you do. Thanks for the update…. ❤ can't wait for the vengeance to begin. RIP kitty cat! well, it’s good wei yang has an ally now, yay—! now then, what will happen next? Thank you so much for the new chapter!!! I tried to visit the jasminechaitea-blog to say thanks for helping with the translation…but sadly I am not able to..no matter which browser I use I get the message that the site is not safe and so it is blocked for me. After reading what people wrote in the reviews i started watching the live action. I reached to episode 7 before i came to the unfortunate conclusion that this novel and the drama have nothing in common besides the name. After that I reread all those 23 chapters again. I fell in love with this novel again. Dunno what kind of plan Wei Yang has in mind but I’d like to see the cat turns against its owner. That’d be the purrfect revenge! Ha! I haven’t watched the drama but I heard it is totally different from the novel. Has anyone seen it yet? Is it worth watching? the drama is an ok romance drama that for the general population would think its good. but it barely follows the novel around only 20% some people say. 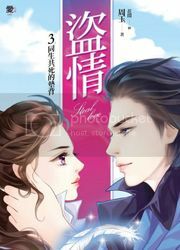 plus in the novels theres barely any romance at all, but in the novel they are putting needless romance between wei yang and tuoba zhen. rewriting wei yangs background and the show is not going to follow the latter half of the novel at all. so if you do watch it, gotta lower expectations and realize that its not going to be as good as the novel so that you wont be disappointed. Thanks for the info! I’m thinking of checking it out since the translation wouldn’t be done anytime soon anyway. Guess I’ll just look at the drama as totally separated from the novels. Just start reading this story and so far like it so much. Thank you for taking your time to translate this book. And happy that you found a friend to help you translate. I already watched all of TPWY. it is so different on the beginning. But I like the novel so far. Thank you for the translation!